In the fast-paced world of social media, timing is critical. A well-timed post can make the difference between creating social media magic and having a post that goes unnoticed. 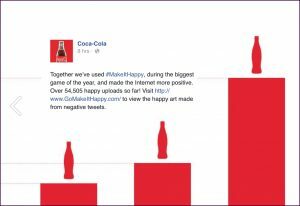 Consider some of the most memorable moments for brands on social media, such as Coca-Cola’s #MakeItHappy campaign during Super Bowl XLIX (right) or Airbnb’s #LiveInTheMovies tweets during the 2016 Oscars; these posts generated a lot of conversation and engagement because they were well-timed and tapped into what was going on in the world as it happened. In short: social media scheduling is key. Whether you are a casual social media user or an experienced social media marketer, you can benefit greatly from social media scheduling tools that allow you to carefully select the precise minute when your posts will go live on platforms such as Facebook, Twitter, and Instagram. Social media scheduling tools allow you to plan your posts weeks or even months in advance, so you don’t have to worry about logging in every time you want to post—or forgetting to post on a certain day. 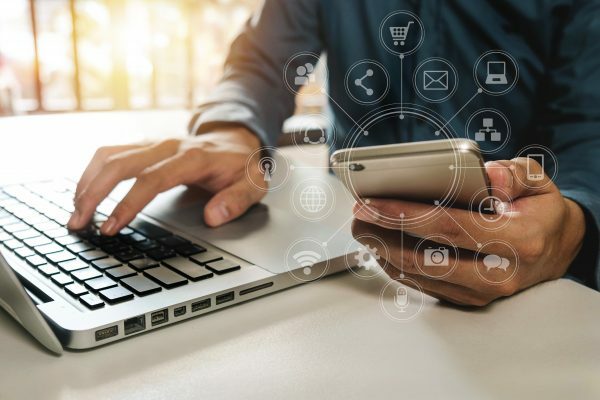 The consistency that social media scheduling provides is crucial if you are attempting to prove your social media’s return on investment (ROI) in terms of measurable outcomes such increasing awareness, driving traffic, and generating leads. An understanding of optimal posting times. Consistently scheduling your posts allows you to gain a clearer picture of what times of the day (and which days of the week) your audience is most engaged with your brand on social media. Although you can usually get a general idea by looking at times when popular content was posted, most social media scheduling tools also provide detailed analytics that will help you visually see the times when your audience is most active and engaged with your page. The ability to daypart your content. Being aware of the times when your audience is most active also allows you to daypart your content appropriately. 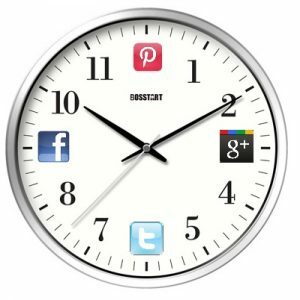 If you are the social media manager for a restaurant, for example, you can schedule a post advertising your lunch specials an hour or so before noon and then another in the early evening with the dinner menu. This keeps your page active and ensures those who visit your social media profiles will always be seeing timely, relevant information. 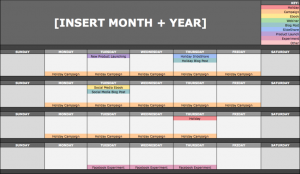 Scheduling all of your social media posts for a given week or month in advance is a more holistic approach. Scheduling posts together allows you to easily devise “theme weeks” in which you may spotlight a specific aspect of your brand, or recurring posts that you make each week (such as #ThrowbackThursday). You can also use an editorial calendar to help tie your posts into holidays that make for timely social posts—from the standard (4th of July) to the zany (National Donut Day). It just makes life easier. Simply put, social media scheduling lets you breathe a bit easier. You no longer have to stress about coming up with content each and every day and can rest assured that your previously created content will continue to be posted, keeping your social media pages fresh and timely. If you’re in a time crunch, scheduling your posts in advance also gives you valuable time to actually interact with the people engaging with your brand on social media. Hootsuite is considered the industry standard of social media scheduling tools. This powerful platform allows you to manage all of your social media profiles from a single dashboard and makes connecting with your audiences faster and smarter. Scheduling posts via Hootsuite is very intuitive and requires just a few additional clicks in order to select the day and time that you want your post to go live; you can even view a calendar of all of your posts that allows you to visually see the content you have planned. Following a free trial, the Professional version of Hootsuite costs $9.99 per month; plans that allow you to manage additional social profiles and receive custom analytics reports start at $34.99/month. An example of the Hootsuite dashboard. If your organization primarily uses Facebook to reach key audiences, Facebook offers a fantastic built-in scheduling tool—with no additional downloads or external platforms required! 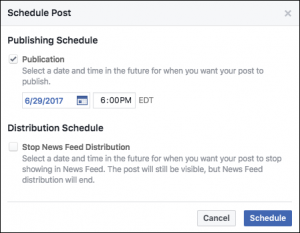 Write your post as normal, click the down-facing arrow next to “Publish,” and select “Schedule.” You can choose the time and date that you want your post to appear on your Facebook page, and even pre-select a date and time in the future when you want your post to stop showing in your followers’ news feeds. If you’re looking to give your social media posts a visual boost, RELAY allows you to create share-worthy content in a snap with little to no previous design experience. After you’ve finished creating a compelling visual look for your posts, you can schedule them on each platform at the times you deem the best fit—and even choose to “rerun” content to ensure it is seen by a wider audience! The basic version of RELAY is free; a Pro version with more advanced features costs $16 per month. 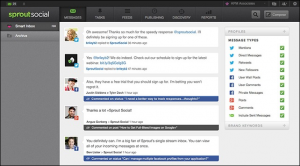 Sprout Social is another full-service social media management platform. In addition to scheduling tools. Sprout Social includes other features that make it a standout application for social media marketers—including a “social inbox” that allows you engage with customers across multiple channels all in one place, and a “discovery” tool that helps you find influencers for your brand in seconds. 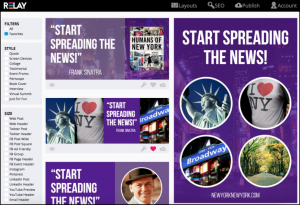 Sprout Social offers a free 30-day trial; after that, advanced plans start at $59 per month. 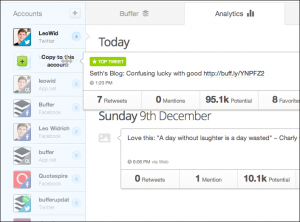 Buffer is a scheduling tool that provides smarter ways to share your content on social media. Buffer shares your social media posts at the best possible times throughout the day, ensuring that your followers and fans see your updates more often. You can also use Buffer to easily push the same content to multiple platforms, or add context so that the posts are customized for each of your profiles. 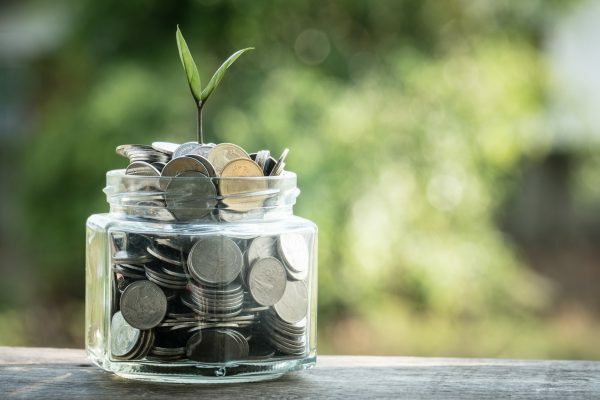 Individual plans that allow for 10 scheduled posts per platform are free; advanced plans allow for as many as 2,000 scheduled posts per platform and begin at $10 per month. It is a good idea to spend some time researching and experimenting with the free trials of these various platforms so that you can find the one that fits your unique social media needs most. 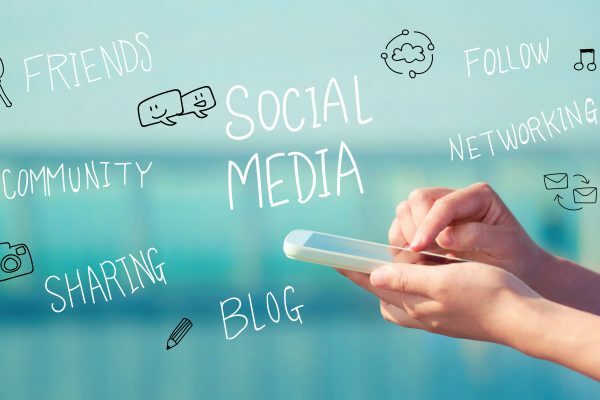 It’s also important to keep in mind that good social media management doesn’t stop with a finely-tuned content calendar; once your posts are scheduled, you also need to ensure that you are staying vigilant and responding to people who are interacting with your brand in the social media space. Compliment your scheduled posts with a little bit of flexibility and fun (such as the previously discussed Oreos post), and you’re sure to achieve the social media success you are looking for. Scooter Media is a full-service communications agency in greater Cincinnati specializing in public relations and social media. Also be sure to check out our complete guide to creating social media graphics, and read more of our social media articles here.